There isn’t anything better first thing in the morning than a good cup of coffee. Almost everyone has their favorite version of coffee – plenty of sugar, a little bit of cream, or even black coffee can help perk you up in the morning. However, everyone also has a preference over what kind of coffee they drink. Not just a light or a dark roast but whether you want your coffee piping hot or nice and cold. 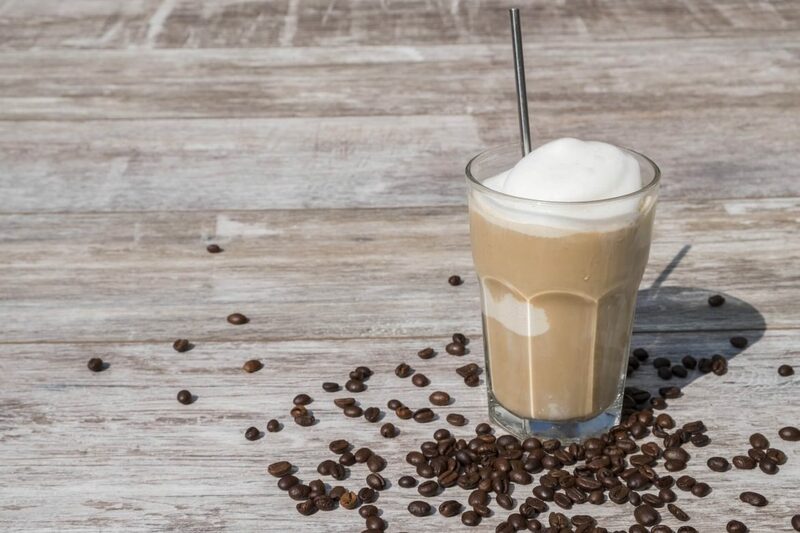 For those of you who prefer the latter, here are 5 cold brew coffee recipes that you can make to soothe your caffeine cravings. This recipe is rather simple because you only need a mason jar and a sieve – no fancy equipment required! It takes only a few minutes to put together and then all you have to do is let it chill for about 12 hours. This makes it the perfect recipe to throw together before you go to bed to have a nice cold brew to start your morning with. The first thing to do is to mix together about a ⅓ cup of ground coffee and 1 ½ cups of cold water. Then, all you have to do is to let it rest overnight. You don’t need to leave it in the fridge, though. It’s better to let it sit at room temperature. When you get up in the morning, just take the coffee mixture and strain it through a sieve. If you don’t have one, a coffee filter works in a pinch. Then, simply pour the coffee concentrate into a tall glass with ice and make it to taste just like any coffee drink. A quick note – if you don’t like the way ice waters down your coffee, take the time to throw some coffee in an ice tray and leave it to freeze. This way, when the ice in your coffee melts, it’ll stay strong! If you want something a little sweeter in design, this condensed milk cold brew might be just the recipe for you! You’ll need some regular cold brew coffee to start. For this, you can use the recipe above. When you’re done, you might want to reduce the amount of water you use when fixing your cup of coffee because this recipe works better with a strong brew. Instead of using cream or milk when fixing your coffee, use condensed milk. Be careful when you are learning how much to use since condensed milk is very sweet. When it’s done, this will give you a rich and creamy cold brew. Those who both love coffee and dessert have probably come across and fallen in love with tiramisu. Now, you can bring that dessert into your cold brew. Once again, start with a basic cold brew. Then, grab a large glass or mason jar and use a white chocolate sauce on the inside of the glass. After that, add in some ice and 1 cup of cold brew and fix it up to meet your preferences. Finally, use about 2 tablespoons of tiramisu syrup to finish off the tiramisu taste. During the winter, many people love to take advantage of the eggnog that is suddenly supplied in their favorite stores. With this recipe, you can add your favorite cold weather drink to your favorite cold brew. As you might’ve guessed, you’re going to start with a basic cold brew. Then, you’ll want to grab a large glass and pour in your coffee and ice – make sure to leave a little room. Instead of cream or condensed milk this time, you’re going to make your cold brew tasty and creamy with a little bit of eggnog. Finally, let’s look at how you can make your morning cold brew with a minty twist. To start, take a large glass and drizzle it with dark chocolate just like with the white chocolate for the tiramisu cold brew recipe. Pour in your cold brew coffee and stir in some mint syrup and you’ll have a cup of caffeine with a refreshing minty taste. Great post! I usually prefer my coffee hot this time of year but it’s always good to get a bit of variety in your life. I love the idea of experimenting with lots of different flavours in coffee recipes – and even adding toppings etc. Especially at this festive time of year!